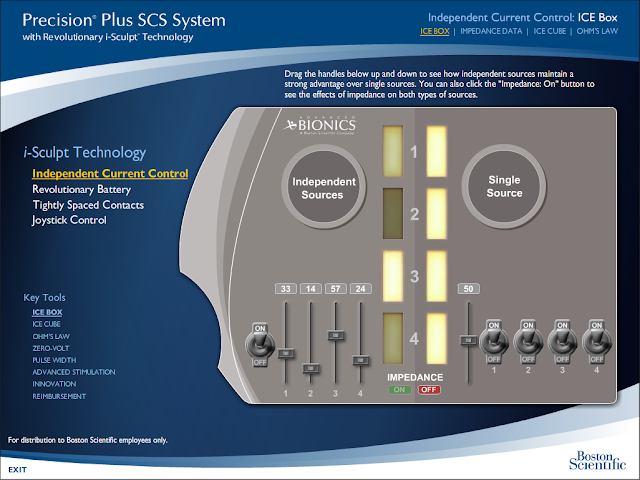 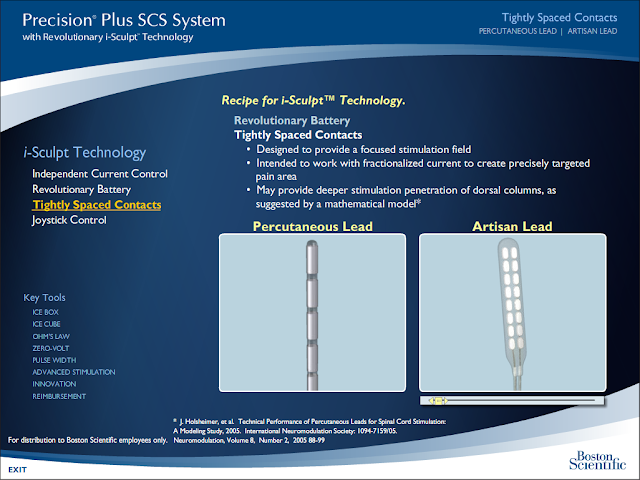 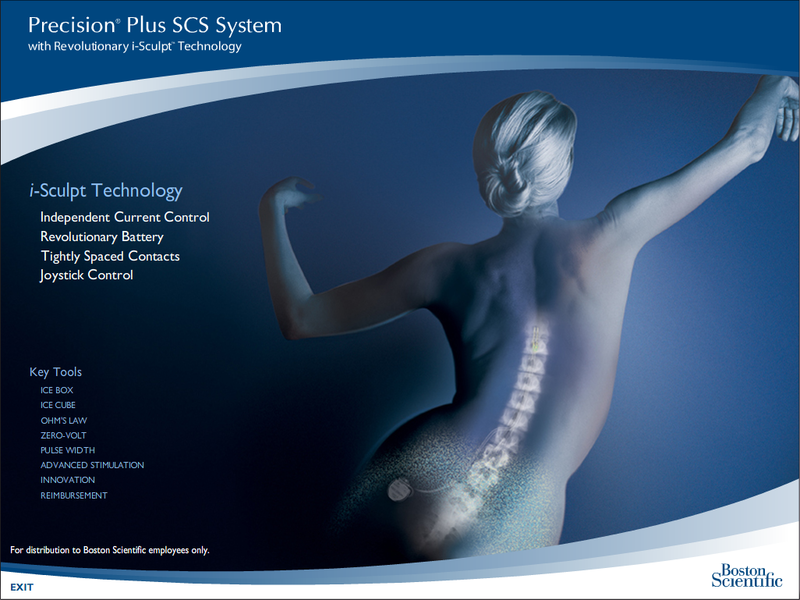 The Boston Scientific iSculpt is a set of electrodes used for pain management. This demo compares Boston Scientific's iScupt with other brands and highlights its features. 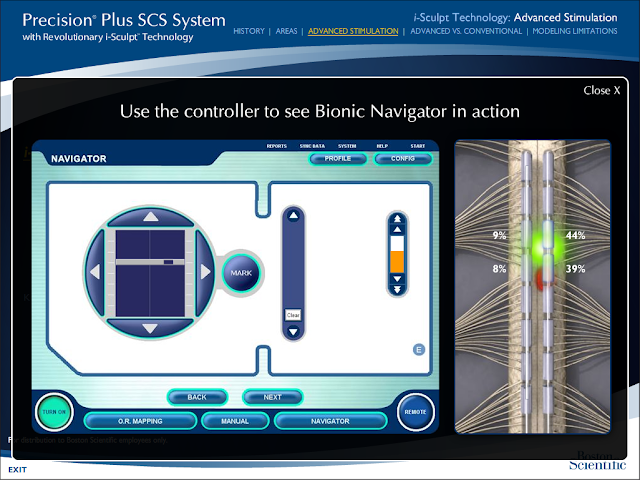 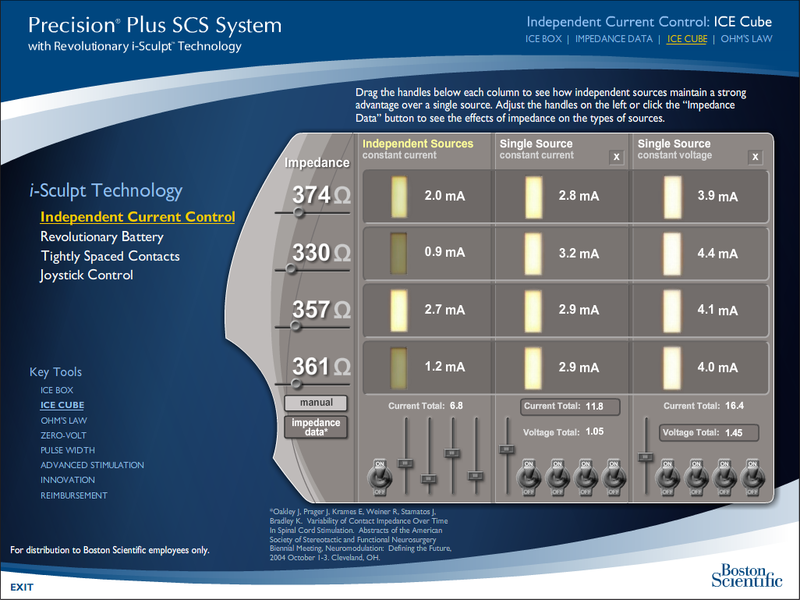 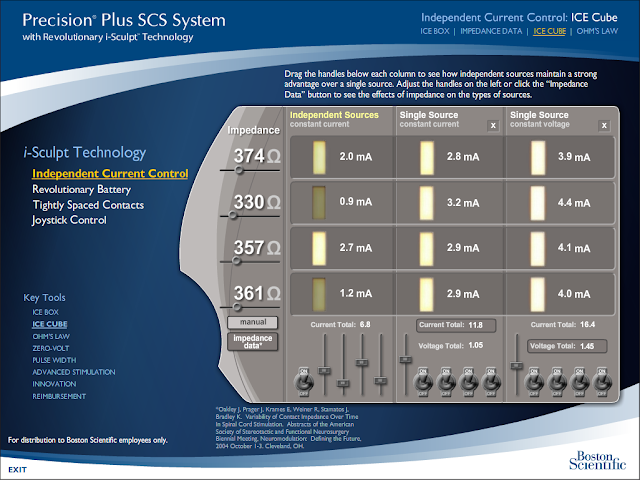 The user could also use the iSculpt controller to adjust the electrical stimulation in an interactive simulation.